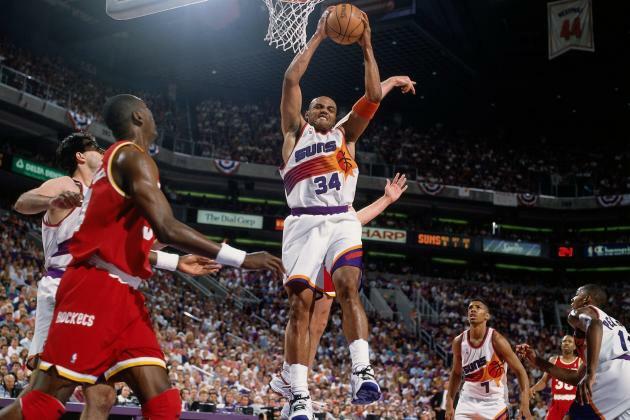 One of the most dynamic players to ever lace it up, Charles Barkley is one of the most popular figures to come out of the NBA. He is known not only for his talents on the court, but also his personality off of it. There has been a lot of negative press resulting from his off court antics, but this has not deterred his accomplishments on the court. 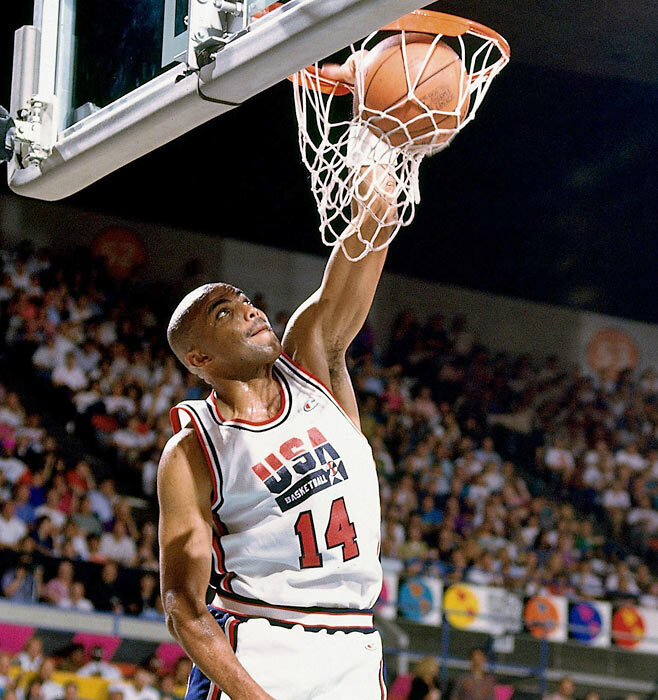 Let us take a look at what makes The Round Mound of Rebound one of the most feared competitors in history. 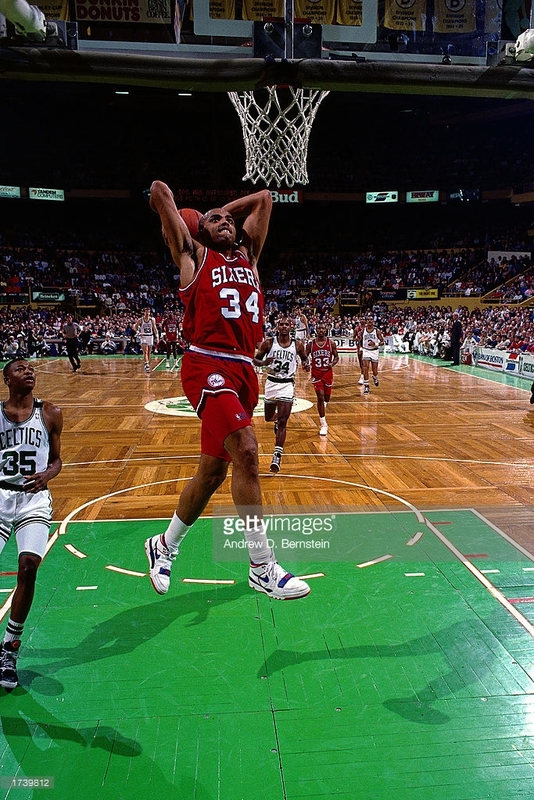 One of the most known knocks against Sir Charles has been his conditioning. Ever since he came in to the league, he has been having problems with staying slim. However, this has not affected his unbelievable athleticism which he has used to his advantage. Standing at a mere 6’4″ and weighing close to 300 lbs., he surprisingly plays the power forward position, where almost every opponent towers over him but his superior jumping ability, strength, and quickness has enabled him to punish everyone who plays against him. 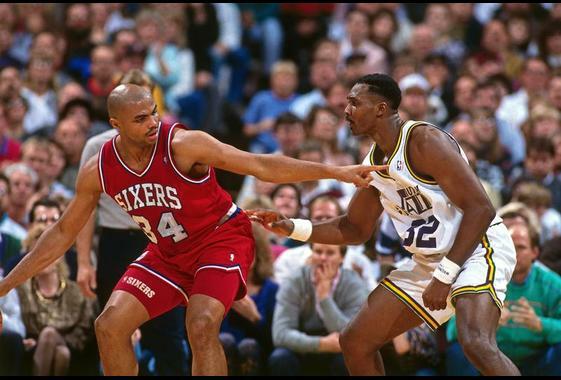 From inside to outside, Sir Charles can do it all on the offensive end of the game. He can post up, drive, and drain jump shots. The only thing missing from his arsenal is a reliable 3 point shot. Posting up means bodying up anyone who guards him. They might think that they can stop him due to his height, but he more than makes up for it with his strength and variety of moves inside. He can also penetrate and score at will in the open court. This makes him almost impossible to guard. Despite being one of the shortest power forwards in the league, Barkley has an amazing ability to get rebounds even when facing against towering power forwards and centers. Averaging double digits in rebounding for his career, he has an uncanny ability of getting rebounds even if the paint is packed full. Combining his strength and jumping ability with his knack for knowing where the ball would end up, Chuck has been among the league leaders in rebounds every year. Even when most of his athleticism has left him later in his career, he was still able to average double digits in rebounding. A lot can be said about Chuck and his relative laziness when it comes to getting in shape, but when the game comes down to the wire, you could be sure that he would demand the ball and take it upon himself to win the game. He understands that it’s ultimately the stars’ responsibility to carry their teams, and he has never shied away from attempting to seal the game using his judgement and abilities. With countless accolades he has gotten throughout his career such as All-Star selections, All-NBA selections, MVP award, the only thing missing in his resume is a championship. He came close once but unfortunately he faced the G.O.A.T., Michael Jordan, preventing him from winning a championship. Despite this, he is still considered as one of the greatest NBA players the world has ever seen. 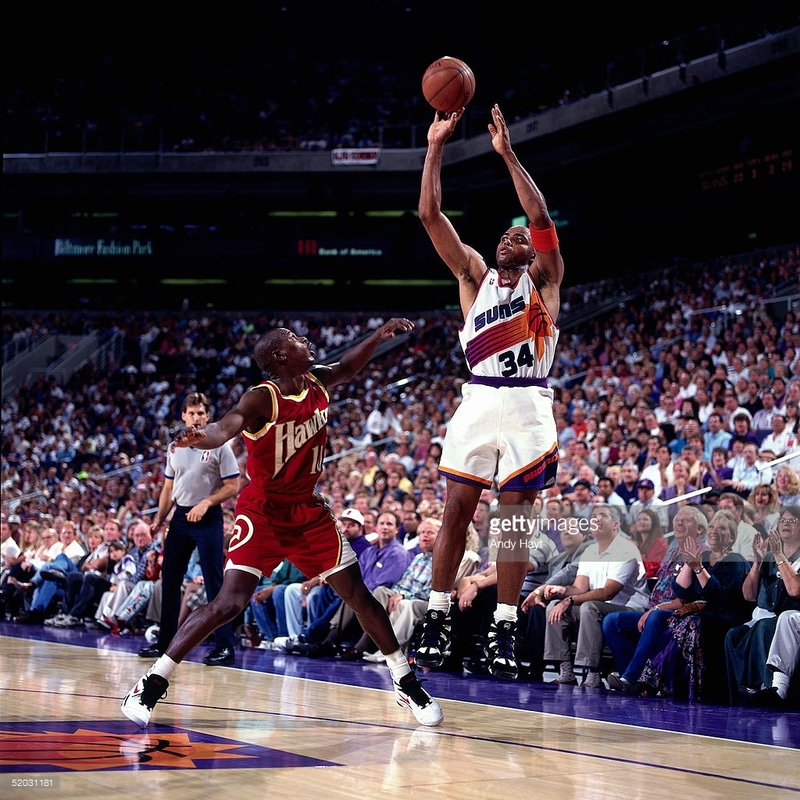 With the way the game is being played today, there is also a good chance that we will never see another player that would come close to Charles Barkley.